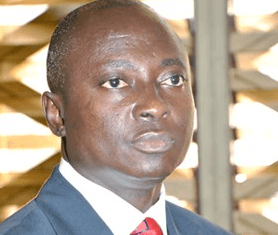 Mr Samuel Atta Akyea, the Minister of Works and Housing, has said the Government will pursue its vision to provide affordable housing to ordinary workers so that they retire as landlords instead of tenants. “We owe it to Ghanaians to roll out housing plans that measure against their income so that the housing deficit of 1.7 million will become a thing of the past”. Mr Atta Akyea, who was speaking at a ceremony to outdoor the Eden Heights Luxurious Apartments, in Accra, said the Pension Trust Fund remained the best source of funding for achieving that objective. Madam Rebecca Akufo-Addo, the First Lady, launched the facility, located in the heart of West Accra, near the West Hills Mall. It offers a seamless State-of the art housing experience with exceptional amenities. Mr Atta Akyea said helping the ordinary worker to own a two-bedroom house upon retirement was a better social welfare package than the current situation of investing the Pension Fund in hotels and other projects that were not of direct benefit to the worker. He would, therefore, pursue the legislation in aid of the affordable housing project, he said. “I’m of the view that the legislation I’m pushing will affect the tier one, two and three schemes because though the Pension Fund trickles in, over the period it pools to become a huge chunk that can provide affordable housing for the ordinary worker,” he said. The Minister also emphasised the importance of a credible mortgage regime with no undue burden being place on the worker. ”We need to have credible mortgage regimes where the average worker can use up to 30 per cent of his or her income to service the mortgage debt, ” he explained. “If an average worker pays beyond 30 per cent, then some department of his or her life may suffer. ”Affordability is tied to income and it’s best when the mortgage regime will help the ordinary worker,” he emphasised. Mr Emmanuel Ansah Ofei, the Managing Director of Eden Heights, said the Facility was made up of luxurious apartments consisting more than 1200 apartments with a unique sports centre. “It is an elegant gated-community, with grade ‘A’ finishing of the apartments, as well as penthouses, and is undoubtedly a unique residential destination of luxury,” the company said. He said the Phase One of the Project, which started in February 2016, comprised 32 apartment buildings with three and four bedrooms. Additionally, there are luxurious penthouse apartments on each of the 32 apartment blocks, expected to be completed in 2019. The Phase Two of the Project has 24 blocks of buildings with eight penthouses and it is expected to be completed in 2020.